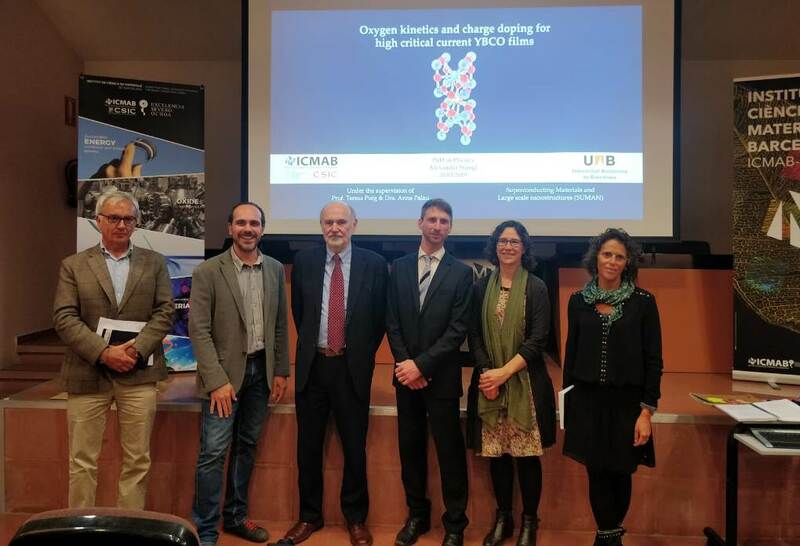 Dr. Alexander Stangl, former PhD researcher under the supervision of Prof. Teresa Puig and Dr. Anna Palau (Superconducting and Large Scale Nanostructures group at ICMAB) defended his PhD thesis entitled "Oxygen kinetics and charge doping for high critical current YBCO films" publicly on 20 March 2019 at the ICMAB-CSIC Auditorium. 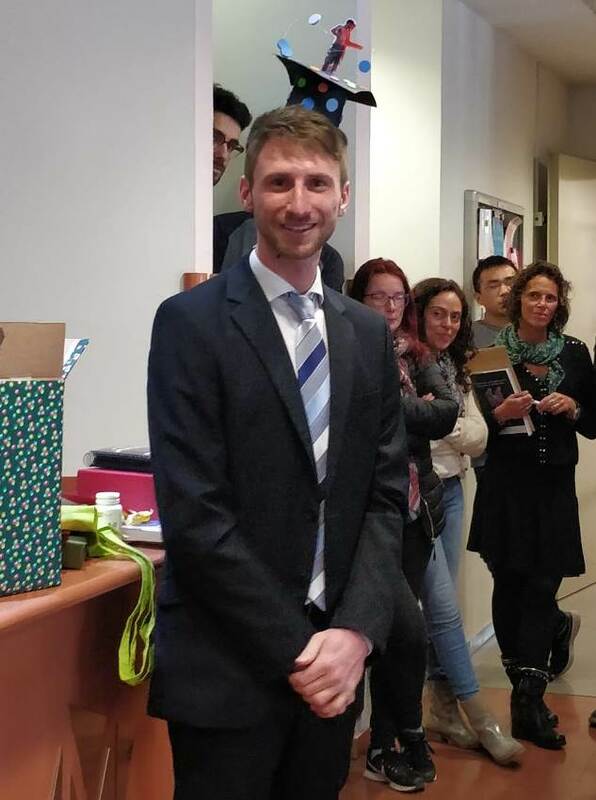 We have interviewed him to know a little bit more about her PhD and her life at the ICMAB! Do you know which is his favourite women scientist? Why did you choose the ICMAB? ICMAB is an excellent and rewarded research centre. 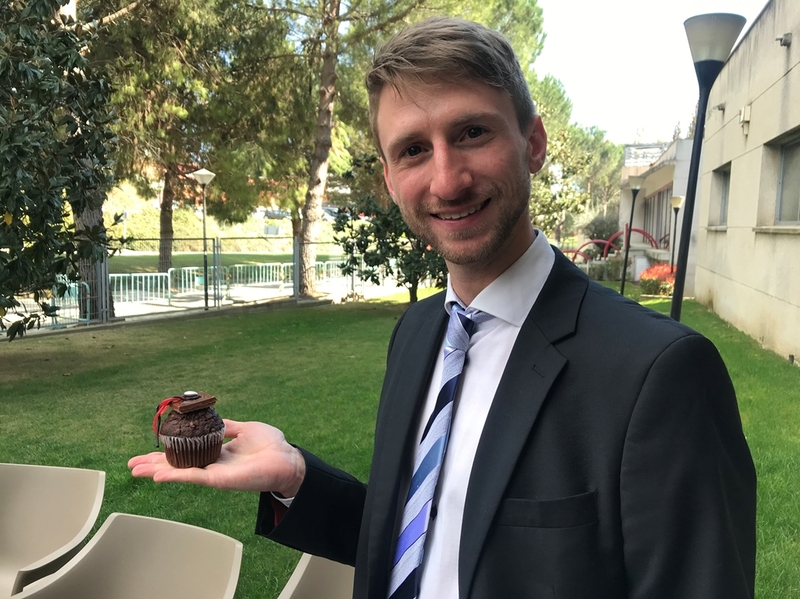 The SUMAN group performs internationally highly recognised research and was leading the biggest European project on superconductivity ever launched, when I was starting my PhD and was therefore highly interesting to me. How would you explain your research to a non-scientific audience? I'm investigating how oxygen is incorporated into YBCO, a superconducting ceramic material and how the oxygen influences the materials properties. Superconductors loose their electrical resistance when cooled to low temperatures, which makes them highly attractive for many different applications. As in many oxide materials, the oxygen content in YBCO strongly affects its physical properties, as the temperature where it becomes superconductive and the current it can carry without resistance. By fully understanding the oxygen incorporation we succeeded in strongly improving the material properties. What are the main applications of your research? Could you give us an example? Superconductors can be used to create high magnetic fields (as needed in research but also medicine for example), to transmit energy with much lower losses but they are also required to build much lighter and more efficient electric engines for future electric planes or for levitating trains. In the time you have been here, what have you liked the most about your experience at our Research Center and in the Barcelona area? The institutes provides a highly professional and well maintained infrastructure, with many different measurement and analysing techniques available in house for young researchers. ICMAB has a very international and open community. I enjoyed the working atmosphere here, enrich by many people which are experts on very different fields. How do you think this experience will contribute to your training and to your future? A PhD strongly impacts many aspects of your life and this impact will clearly remain and shape my future. I have learned how to address and tackle a broad variety of problems with available resources. What are your plans once you finish your PhD? What do you wish you had known at the beginning of your PhD? The importance of interdisciplinary and the literature research outside your field. Why did you become a scientist? Which have been your role models? I don't really have a role model. Which is your favourite female scientist? Lise Meitner, not only for her (too often undervalued) scientific achievements but also her social fight for gender equality, from her early days. PhD Thesis Abstract: Superconductivity in YBCO is governed by hole doping into the CuO2-planes via the oxidation of the crystal. This so-called oxygenation process is the main subject of this thesis. A high oxygen content in YBCO is a prerequisite for its exceptional superconducting properties, such as the highest achievable critical current densities. In this work we have obtained a fundamental understanding of the oxygen incorporation mechanisms into the structure and have identified the rate determining step. Additionally we have demonstrated the influence of heat treatments on the microstructure and the chemical composition of the surface. The thorough understanding of the oxygenation process enabled us to reach the overdoped state of YBCO and to increase the critical current to record high 90MA/cm² at 5K, a third of the depairing current density.